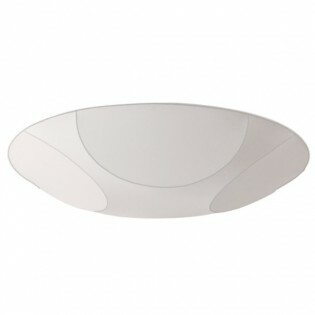 Ceiling Flush Light GUSS made in Artecoon, patented and exclusive material of the manufacturer Anperbar. 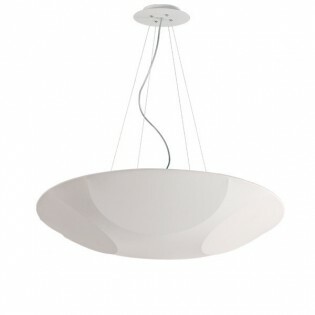 A unique round piece that subtly rotates until it reaches the top of the ceiling. A Highly decorative ceiling lamp. Available in two sizes. - Dimensions:Small: Diameter 55 cm.Big: Diameter 90 cm. Ceiling Flush Light META, is a ceiling made of a metallic structure and finished with decorative methacrylate Available in different colours: Grey, white, wenge, orange, green, yellow, red and blue. Rectangular shape. An ideal ceiling for kitchens of a Modern Style. Dimenesiones: 67 x 23 x 8 cm. Ceiling Flush Light META, is a ceiling made of a metallic structure and finished with decorative methacrylate Available in different colours: Grey, white, wenge, orange, green, yellow, red and blue.Square shape An ideal ceiling for kitchens of a Modern Style. Dimenesiones: 40 x 40 cm. Ceiling Flush Light Wood, is a ceiling made of a metallic structure and finished with a decorative wooden frame Available in three colours: wenge, white or honey. An ideal ceiling for rustic style kitchens or mountain kitchens. Dimenesiones: 44 x 44 cm. Ceiling Flush Light Wood, is a ceiling made of a metallic structure and finished with a decorative wooden frame Available in three colours: wenge, white or honey. Rectangular shape. An ideal ceiling for rustic style kitchens or mountain kitchens. Dimenesiones: 65 x 25 x 8 cm. Ceiling Flush Light Wood, is a ceiling made in metallic structure and finished with decorative wood frame Available in three colours: wenge, white or honey. Round shape. An ideal ceiling for rustic style kitchens or mountain kitchens. Dimenesiones: Diameter 27 cm. Ceiling Flush Light Wood, is a ceiling made in metallic structure and finished with decorative wood frame Available in three colours: wenge, white or honey. 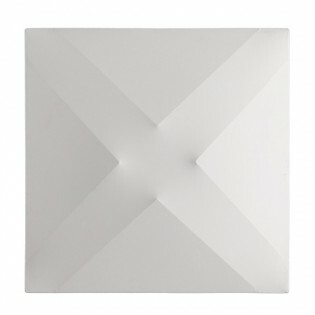 Square shape An ideal ceiling light for rustic or mountain kitchens. Dimenesiones: 26 x 26 cm. 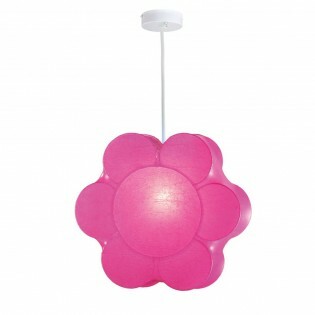 Ceiling light Flor in pink with flower design. Ideal for lighting up the girls' room. Pendant structure made of white metal and artecoon lampshade, an exclusive material that stands out for its great beauty.. Dimensions: High 12 cm. Diameter 35 cm. 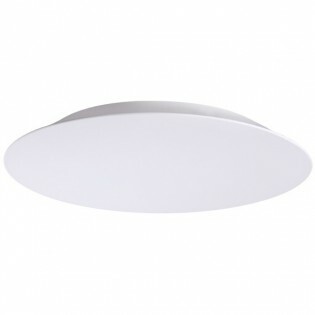 Ceiling light ideal for lighting up the nursery. 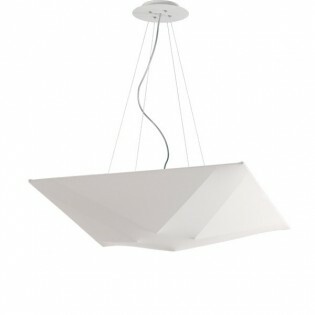 Composed of a metal structure and lampshade, available in different finishes: pink, yellow, white or green. Lighting with E27 bulb (not included). Dimensions: High 30 cm. Diameter 16 cm. 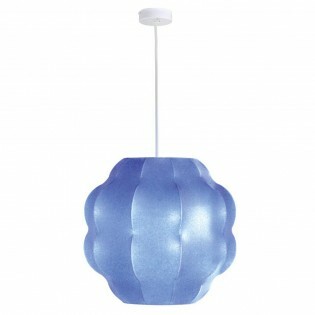 Ceiling light Nube with blue lampshade made of artecoon, a material that will surprise you with its pleasant texture and quality. Main structure made of white metal. 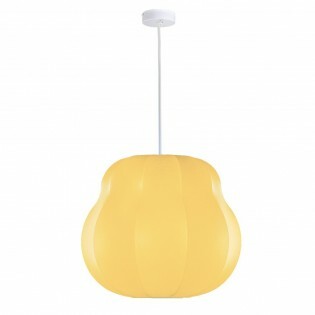 Ideal for lighting children's bedrooms. Dimensions: High 32 cm. Diameter 32 cm. Ceiling light Prin with curved design made of metal and artecoon, a material that will surprise you with its texture and quality. Its yellow colour will fill the room with joy. 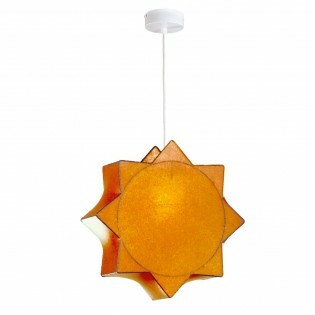 Ideal for lighting children's bedrooms.Dimensions: High 28 cm. Diameter 32 cm. Ceiling light ideal for lighting children's style rooms formed by an original sun-shaped lampshade and manufactured in artecoon, a material with an incredible texture and finish formed by interwoven threads.Dimensions: High 35 cm. Diameter 35 cm. 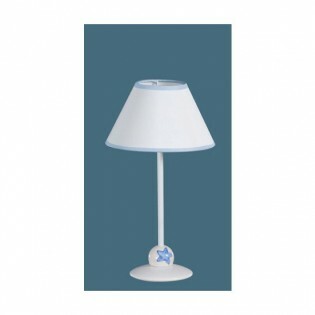 Table lamp especially for the bedrooms of the youngest of the house, made in metallic structure and finished in white. Decorated with a ceramic ball with a blue star. Fabric lampshade. Dimensions: High 33 cm. Base: 12 x 12 cm. 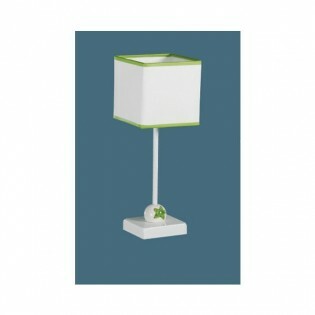 Table lamp special for the bedrooms of the youngest in the house. Made in metallic structure and finished in white. Decorated with a ceramic ball with a green star. Square-shaped fabric lampshade. Dimensions: High 33 cm. Base: 12 x 12 cm. Ceiling Flush Light Alpha Collection (Aspa Rcil), made from the original elastic fabric RCIL, a fabric that stands out for its elasticity, its design and careful shapes and its special characteristics: it is removable, washable and fireproof. Available in two sizes and square shape. Small Size: 50 x 50 x 8 cm.Big Size: 80 x 80 x 8 cm. Ceiling Flush Light Alpha Collection (Cup Rcil), made in the original elastic fabric RCIL, a fabric that stands out for its elasticity, its design and careful shapes and its special characteristics: it is removable, washable and fireproof. Available in two sizes and square shape. Small Size: 55 x 55 x 8 cm.Big Size: 90 x 90 x 8 cm. Ceiling Flush Light Alpha Collection (Dish Rcil), made from the original elastic fabric RCIL, a fabric that stands out for its elasticity, its design and careful shapes and its special characteristics: it is removable, washable and fireproof. Available in two sizes. Small Size: 55 x 55 x 8 cm.Big Size: 90 x 90 x 8 cm. Ceiling Flush Light Alpha Collection (Tie Rcil), made in the original elastic fabric RCIL, a fabric that stands out for its elasticity, its design and careful shapes and its special characteristics: it is removable, washable and fireproof. Available in two sizes and square shape. Small Size: 50 x 50 x 8 cm.Big Size: 80 x 80 x 8 cm. Pendant light Alpha Collection (Dish Rcil), made from the original elastic fabric RCIL, a fabric that stands out for its elasticity, its design and careful shapes and its special characteristics: it is removable, washable and fireproof. Available in two sizes. Small Size: 55 x 55 x 8 cm.Big Size: 90 x 90 x 8 cm. 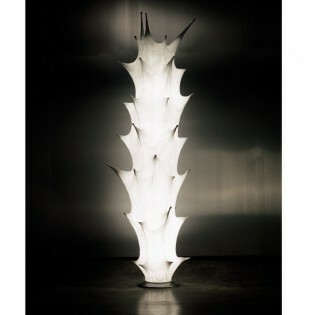 Spectacular Floor lamp "Cactus" made in Artecoon, Anperbar's exclusive and patented material. Living room Floor Lamp in the shape of cactus in very soft shapes. A unique piece, very special, perfect for lovers of decorative and designer lighting. Dimensions: Height 165 cm. Diameter: 50 cm. Floor lamp Ceve with beautiful natural wood details on the top and in the middle of the lamp. Shade made of fabric. Ideal to lighting rustic style rooms: dining room, living room, bedroom...Dimensions: High 165 cm. Diameter 35 cm. Floor lamp of large size, made in Artecoon, Anperbar's exclusive and patented material. Living room Floor Lamp that seems to squirm subtly. A unique piece, very special, perfect for lovers of decorative and designer lighting. Dimensions: Height 170 cm. Diameter: 55 cm. 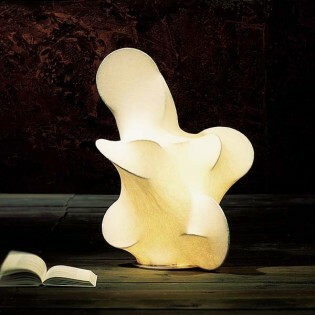 Spectacular Floor lamp COO made in Artecoon, Anperbar's exclusive and patented material. Floor lamp cactus shaped, full of thorns, very modern and eye-catching. 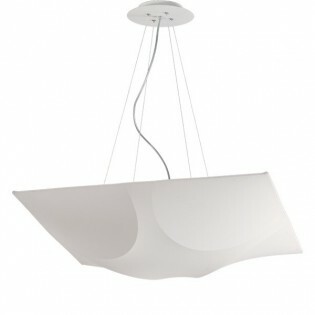 A very special piece for lovers of decorative and designer lighting. Dimensions: Height 165 cm. Diameter: 50 cm. Floor Designer Lamp Fruits made in Artecoon, patented and exclusive material of the manufacturer Anperbar. A very decorative and elegant piece in its forms. Ideal for living rooms in a modern style. Dimensions: High: 160 cm. Width: 50 cm. Living room Designer Floor Lamp Fruits made in Artecoon, patented and exclusive material of the manufacturer Anperbar. A very decorative and elegant piece in its forms. Ideal for lounges in a Modern Style. Dimensions: High: 160 cm. Width: 46.2 cm. 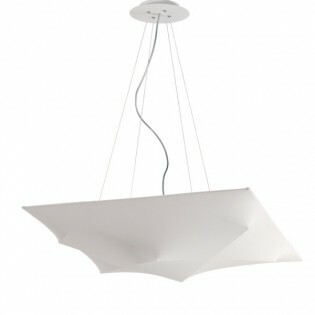 Floor lampLight of large size, made in Artecoon, Anperbar's exclusive and patented material. Living room Floor Lamp with very fine structure, and with lampshade in rounded shape. A unique piece, very special, perfect for lovers of decorative and designer lighting. Dimensions: Height 170 cm. Diameter: 55 cm. 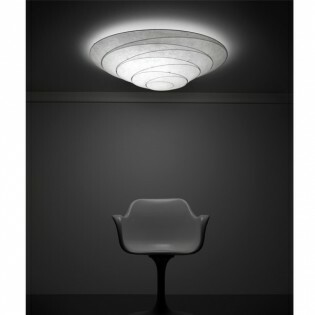 Floor lamp Mediterranea in is an Designer´s Lamp made in Artecoon, Anperbar's exclusive and patented material. Living room Floor Lamp very original, ideal for living rooms or bedrooms of a modern style. Dimensions: Height 145 cm. Width: 36 cm. 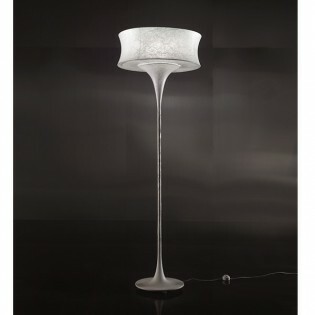 Floor lamp Mediterranea in is an Designer´s Lamp made in Artecoon, Anperbar's exclusive and patented material. 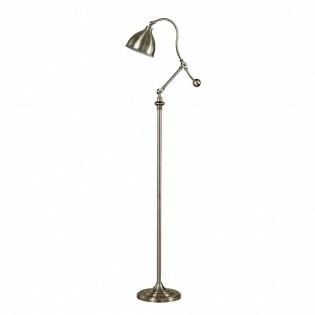 Living room Floor Lamp in its larger version, perfect for living rooms or bedrooms of a modern style. Dimensions: Height 180 cm. Width: 32 cm. 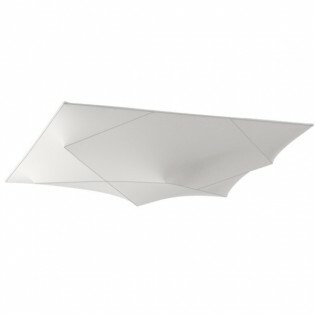 Floor lamp Mediterranea is an Designer´s Lamp made in Artecoon, Anperbar's exclusive and patented material. 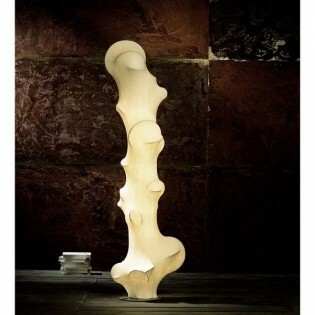 Living room Floor Lamp medium size, perfect for living rooms or bedrooms of a modern style. Dimensions: Height 102 cm. Width: 36 cm. Floor lamp "Cactus" medium size, made in Artecoon, Anperbar's exclusive and patented material. Living room Floor Lamp of intermediate size in the shape of cactus of very soft lines. A unique piece, very special, perfect for lovers of decorative and designer lighting. Dimensions: Height 90 cm. Diameter: 60 cm. Spectacular Floor lamp Thorns made in Artecoon, patented and exclusive material of the manufacturer Anperbar. Table lamp cactus shaped, full of thorns, very modern and eye-catching. 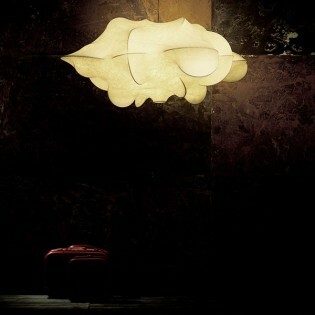 A very special piece for lovers of decorative and designer lighting. Living room Floor Lamp of an average size. Dimensions: Height 90 cm. Diameter: 50 cm. Floor lamp ideal for lighting vintage-style rooms. Made of metal with an antique leather finish, oval-shaped lampshade and adjustable head to direct the light where you need it... For dining rooms, living rooms, bedrooms...Dimensions: High 165 cm. Diameter 50 cm.